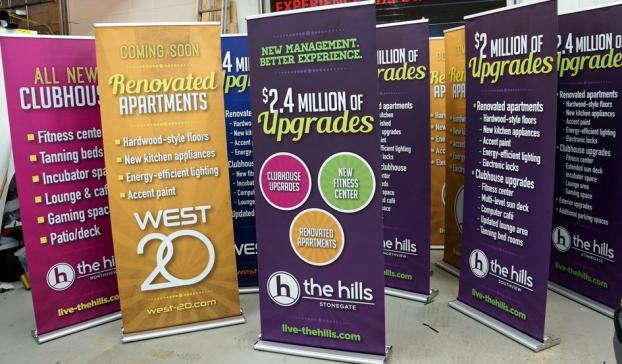 With the use of custom retractable banners, your company can gain access to one of the most versatile, impactful branding elements around. SpeedPro Imaging of Fort Collins can assist you no matter the scenario. We’ve worked with sole proprietors, small companies and many other kinds of establishments, which gives us an in-depth view into the world of visual communications. As a part of the nation’s biggest large format graphics provider, we’ll combine our expertise with industry-leading materials and state-of-the-art printing technology to fulfill your vision down to every last detail. 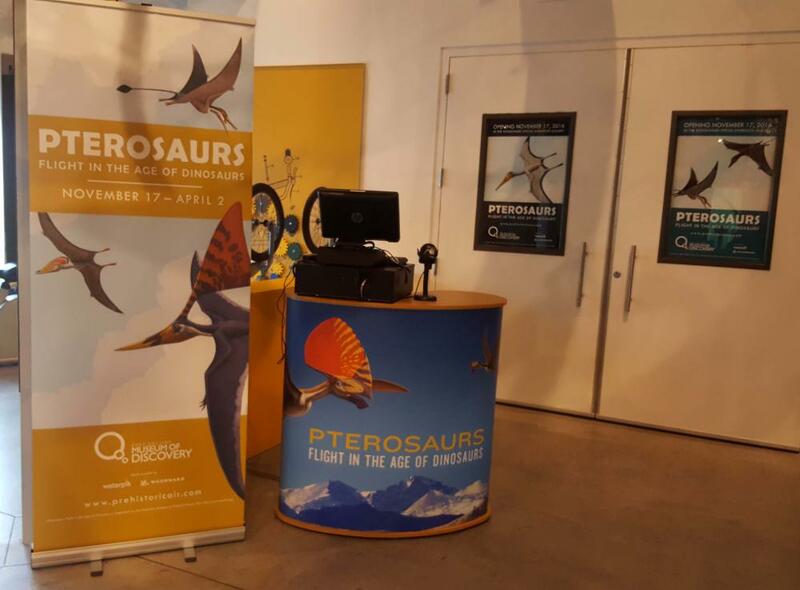 Trade shows are a common place that retractable banner stands are employed, but our friendly and attentive staff will work closely with you to open up brand new possibilities. As evidenced by our memberships in Rotary International, Business Networking International and the NoCO HBA, we’re committed to your total and complete satisfaction. We’ll walk you through all of the options we offer, as we can tailor products to fit retail stores, sporting events, medical practices, universities, shopping malls, and much, much more. 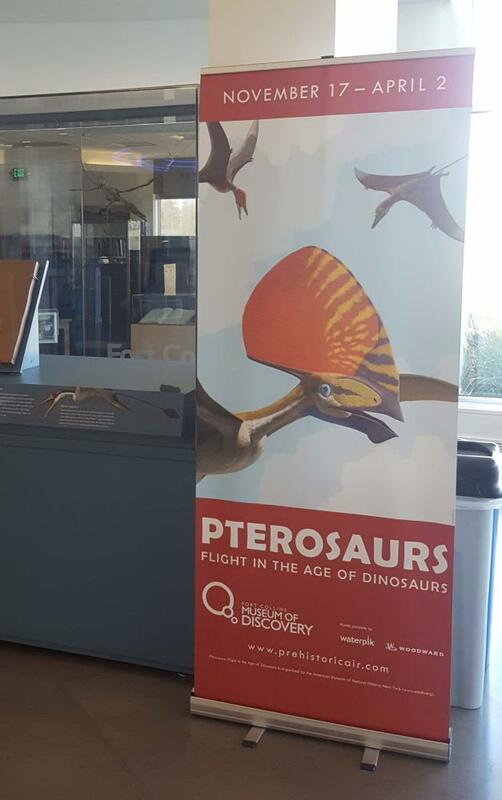 Whether you’re aiming to push your logo, promote your event or advertise your products, our vibrant displays have you covered. Our product catalog is extensive, which can be intimidating, but we’ll see to it that we answer every question you have. We’ll also discuss the positives and negatives of each option to ensure total clarity. If you’re looking into the actual stands, you’ll find that we have a variety of styles, internal mechanisms, sizes and metal gauges. In terms of style, we have three options — retractable, telescopic and spring-back. We also have three kinds of models, which are economy, standard, premium. Each iteration can be used to fit a range of parameters. When it comes to models, we have economy versions that offer cost-efficiency while still maintaining impact. Their materials, like their metals and internal mechanisms, are lower grade, which suits them better for limited uses and travel. Premium models, on the other hand, are made with the best materials money can buy. 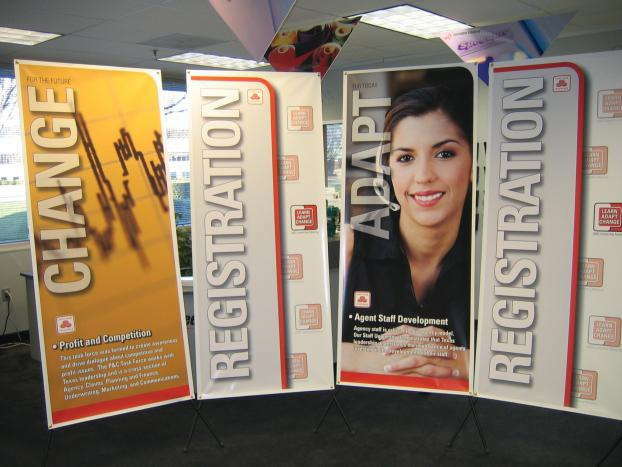 These versions are ideal for trade shows, expos and other events that require heavy travel and conversions. With all of the options we offer, you’ll be receiving products that are appropriate for the situation, lightweight and easy to use. Our banners are crafted with the same precision and care, as long-lasting inks and durable materials make for colorful, high-quality visual communication solutions. We can provide custom retractable banners for businesses located in the northern Colorado area, which includes the communities of Fort Collins, Greeley, Loveland, Windsor and Estes Park. Contact us now to set up your consultation with our team. You can also visit our studio, which is located on Duff Drive, near the Fort Collins Museum of Discovery.